Lighting coves are generally used to diffuse light over the ceiling with fixtures mounted in channels or on shelves, thus concealing them view. This approach can employ indirect lighting to highlight a decorative ceiling and increase the perception of spaciousness, or direct lighting to highlight specific areas or, for instance, merchandise with directional fixtures mounted in the coves. Lighting coves may be the main lighting system in a room, or be supplemented with other solutions. In a retail setting, for instance, the coves contribute to the overall atmosphere and can also be used to highlight specific details and objects. 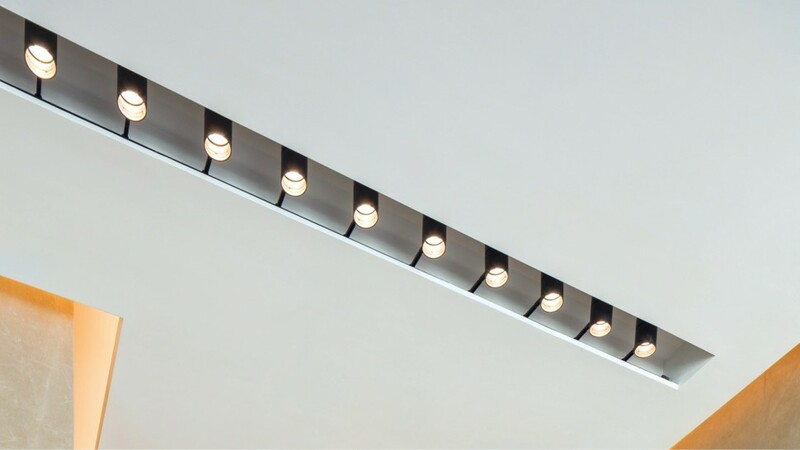 Traditionally, cove lighting has used fluorescent light sources but increasingly LED light sources are now being used as an alternative. In addition to the improved energy efficiency that LED light sources deliver, they also provide a higher level of controllability that enables the lighting to be dimmed or to change colour through the day or for different events. For example, colour-changing cove lighting may be used to emulate the changing colours of natural daylight through the course of the day and during different seasons. Or different colours may be used to reinforce branding or to underpin special occasions. As maintaining cove lighting usually requires specialist access equipment, the use of long-life LED light sources also helps to reduce the maintenance burden and minimise disruption to the space.